There is a little bookshelf in my home office, bursting with books, photos, and some of my art that is stacked on top of it. I love how full of life it is. But the most special part is the top shelf. Here I keep my most treasured books that have been my trusted guides along the journey I’ve taken during the past few years. A journey during which I’ve learned to move more from love than fear, to trade some of my fighter’s grit for self-compassion and kindness, to find beauty in pushing a little less and just being a little more. I wanted to share some of these books with you, the ones that I find myself re-reading most often. I’m smiling writing this because I feel like I’m introducing you to some of my dearest friends and doing it with utmost confidence that you will love meeting each other. 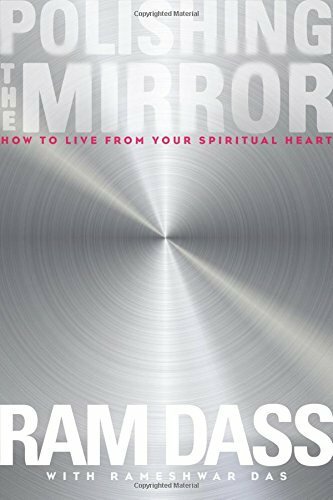 In this book, the amazing spiritual teacher Michael Singer shares his incredible journey that unfolded when he decided to be led by life rather than his personal likes or dislikes. 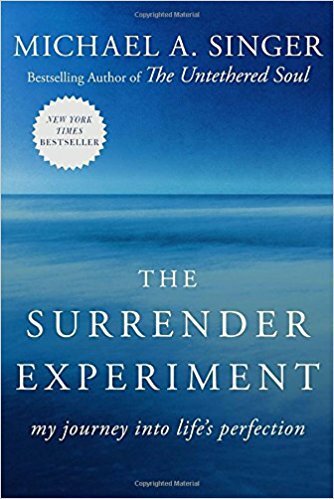 When I began to read this book, I thought of surrender as something weak people do when they can’t fight for what they want. When I finished it, I began to approach life with a completely new lens and seeing surrender as the best way I can truly serve my purpose (and make better decisions). Michael Singer has a beautiful way of sharing his ideas in a clear and wise way and I can honestly say that my practice of acceptance – of reality, of how things are, and of myself – has been most influenced by his writing, including this book. Also, it’s just an amazing story! I had heard Wayne Dyer’s name for years before actually picking up one of his books… and I haven’t been able to put this one down. With his signature direct, warm, simple language, Wayne Dyer offers us a completely different way to think about will and intention – and the influence that our inner dialogue has over the way our life unfolds. I was surprised at how practical this book was and how many tactical shifts I would make in my own thinking because of it. But perhaps one of the best lessons I’ve learned from it is to approach every interaction, every connection, every activity with awareness, love, kindness, and enthusiasm. In other words, from love. This is the book that influenced me to make a decision that I would never publish – in an email newsletter, blog post, or book – anything that didn’t feel like it came from my heart. I’ve stuck to this promise for more than two years now and I feel its impact daily. So many of us search of our sense of meaning and purpose. It’s essential to being human, to truly living a fulfilling life. And yet, often we struggle to find our connection to what is meaningful. This incredible book by Viktor Frankl is one I would recommend to every single person who wants to uncover meaning in their life. It is not an easy read -- I want to be honest with you about that. In the first half of the book Viktor Frankl shares his time in the Nazi concentration camp and what coming face to face with the deepest, most raw human struggle taught him about the one thing that can never be taken from any human being: Our ability to choose how to react to our life’s circumstances. Viktor Frankl also taught me to find a deeper sense of gratitude for the blessings that surround me. His story of how he chose to truly enjoy the awful, dirty bowls of water with some fish remains in them that were served as “soup” to prisoners is one of the most memorable reminders about the power we all have to find something to appreciate in even the most dire circumstances. Ram Dass is just awesome. He was a successful Harvard professor in the 70s when he became disenchanted with traditional psychology, did some drugs – it was the 70s! – and then went to India where he met his guru who would change his life. After a long period of study there he came back to the US and became one of the leading spiritual teachers, known for his honesty and openness about our life’s journey. This book is my favorite by him, and it’s one you can pick up, read a little of, and then come back to later – or inhale in one sitting. When I first came across it, I was allergic to words like “spirituality” or “true self”, so if the title and my description seem woowoo, that’s totally fine – I get it! But if you can allow yourself a bit of curiosity, this is the book to reach for. Mark Nepo is a poet first and foremost. And while this book is not poetry, every sentence reads as such. There are 365 little sections, one or two pages for each of the days of the year. Some are little stories from Mark Nepo’s life, some are reflections on being human and the journey of life. With each, there is a suggestion for something to try – a moment of awareness, of listening, of letting go, of thinking about something in a new way. I still haven’t read through all the days even though I’ve had this book for a while. I love just opening it up to a random page, reading one day’s entry, and then pausing to let the words soak in. My favorite quote from Mark Nepo is: “The flower doesn’t dream of the bee, it blossoms and the bee comes.” It’s kind of like this book – you don’t dream of what’s in it, but you open it up and the gifts are there. How to throw the best pool party ever? Just add dogs.